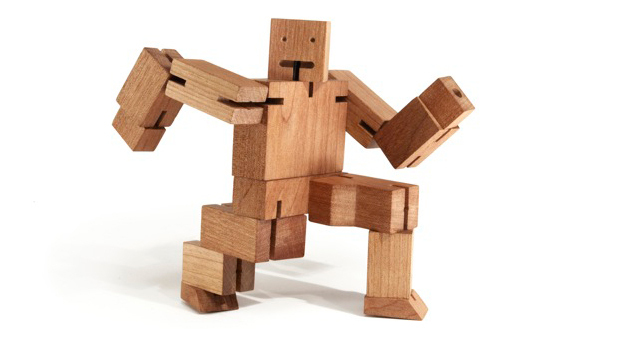 Design snobs and Gundam nerds might be worlds apart on, oh, pretty much everything, but one thing they can both agree on is this: the awesomeness of David Weeks‘s Cubebot. 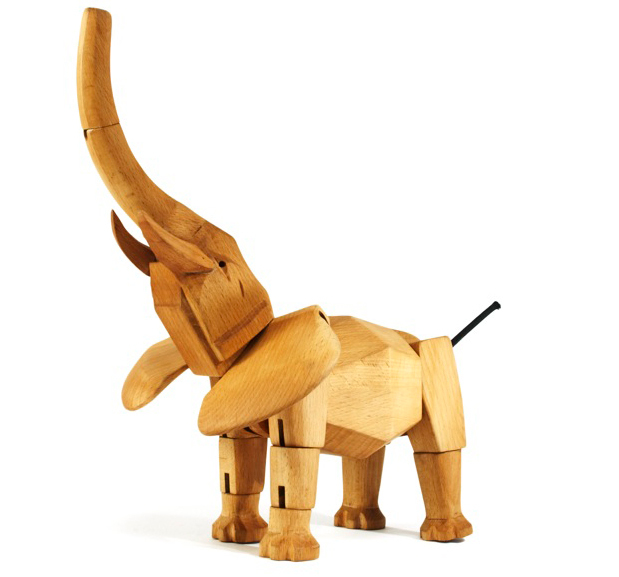 Cubebot is both a toy robot and an art object. You can fold it into a box as if it were some sort of Tony Rosenthal sculpture or sic it on your model RX-78 till mom yells bedtime — whatever. Designy types will love it because of the Cubist reference and because it’s made out of sustainably harvested cherry wood and because it’ll look perfectly at home on the Noguchi side table, next to the George Nelson sofa, just across the way from the original Koons balloon dog. And geeks will love it because it’s a ROBOT!!! 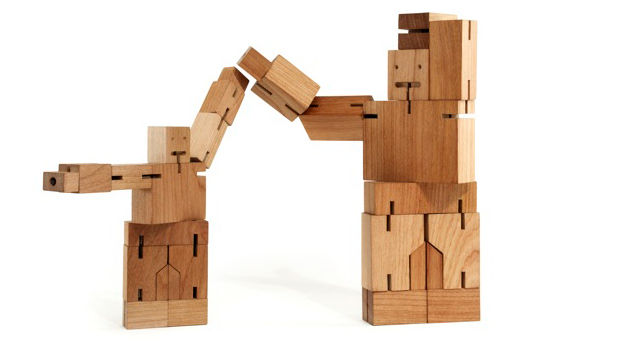 Visit Areaware online for more whimsical stuff from Weeks. Be sure to check out his smoking gorilla-head ashtrays.